A M6-class solar flare is something inimaginably intense and beautiful. Look at this NASA photo! 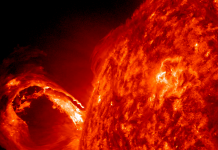 SOLAR FLARE ERUPTS FROM UNEXPECTED SOURCE! Yesterday, July 8th, Earth-orbiting satellites detected a strong M6-class solar flare. NASA’s Solar Dynamics Observatory recorded the extreme ultraviolet flash! This extreme solar storm disrupted shortwave radio transmissions around our planet (Europe and North America), but now everything has returned to normal. 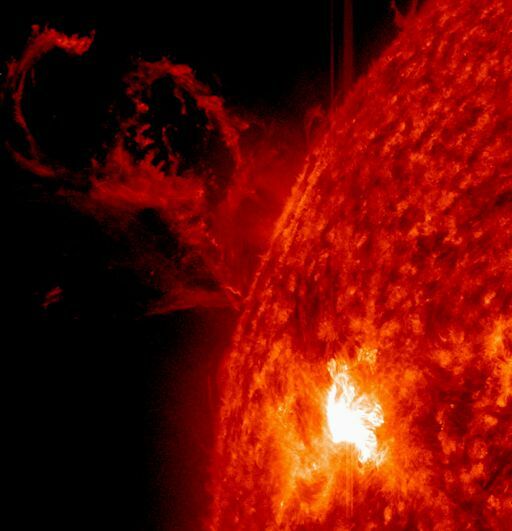 Although the flare was not a big surprise, its source was unexpected, as it occurred from a minor and seemingly harmless sunspot (AR2113). 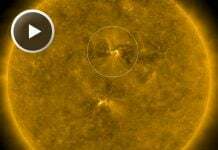 Well this indicates that any sunspot may create huge solar eruption. Pretty cool, no? 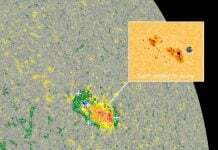 This is the third sunspot capable of potent activity. The others are named AR2108 and AR2109.